Angry Birds - Lemme tell ya, these ain’t no ordinary finches we’re talkin’ about. These here are the Angry Birds, the ones that’s gonna kick you in the ‘nads. And they’re the ones on your side. They must be from Galapadapados, or sumptin’.” – Col. Angus, Bird Expert. The survival of the Angry Birds is at stake. Dish out revenge on the green pigs who stole the Birds’ eggs. 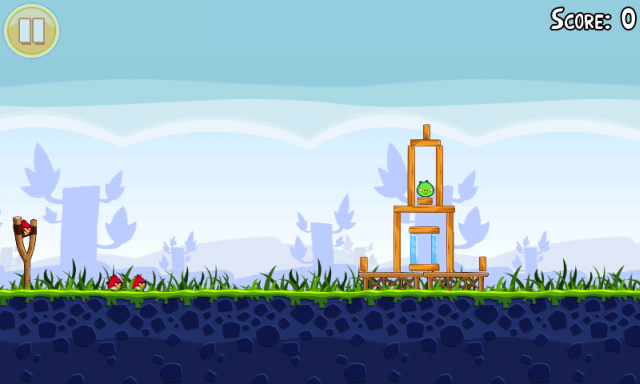 Use the unique destructive powers of the Angry Birds to lay waste to the pigs’ fortified castles. Angry Birds features hours of gameplay, challenging physics-based castle demolition, and lots of replay value. Each level requires logic, skill, and brute force to crush the enemy. 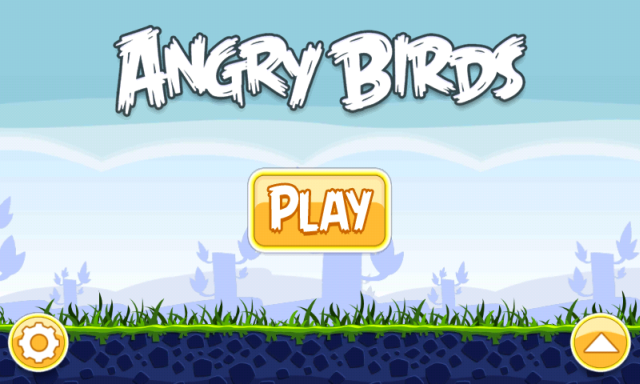 · Angry Birds Android now supports QVGA graphics, so owners of devices with this compact screen size should find the game running perfectly on their phones. · Also included is the episode The Big Setup, which pits the birds against the fiendish construction yard operated by the pigs. The total number of levels is now up to 195 on the Android platform. The #1 mobile game of all time blasts off into space! ALL NEW ANGRY BIRDS GAME FROM ROVIO -- the #1 mobile game of all time blasts off into space! The Angry Birds take off into space! Doesn't support archos 43 internet tablet. Engry bird ki gaand me looda. How do i install it on my phone?